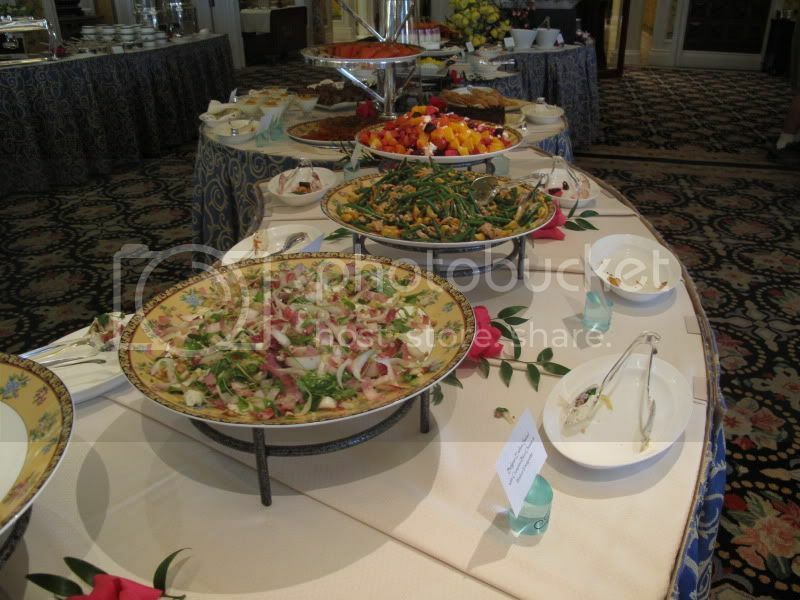 We loved the Jasmine Fountain Brunch and will do it again in the future. We were the 3rd party to be seated at the Brunch and while we were not on the first level next to the windows, we had a excellent table that was elevated and had a great view. 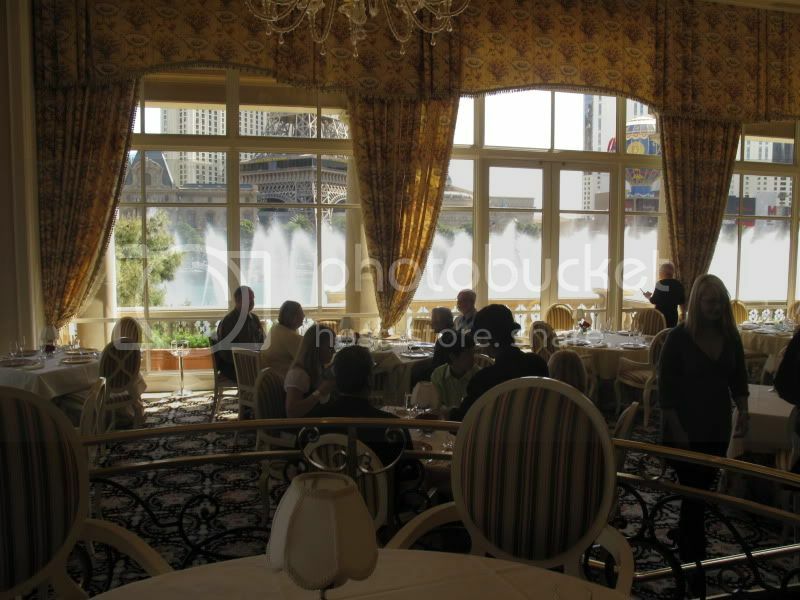 While the photo below only shows the front view we also had a great side view of the fountain show where we were seated. As we were being seated there was a Fountain show going on and they started a second show 5 minutes later then another one 10 minutes after that show and they were coming very frequently that first hour. Into the second hour, they werre the usual 15 minutes that are usually scheduled for weekends. This photo shows the side view we had. 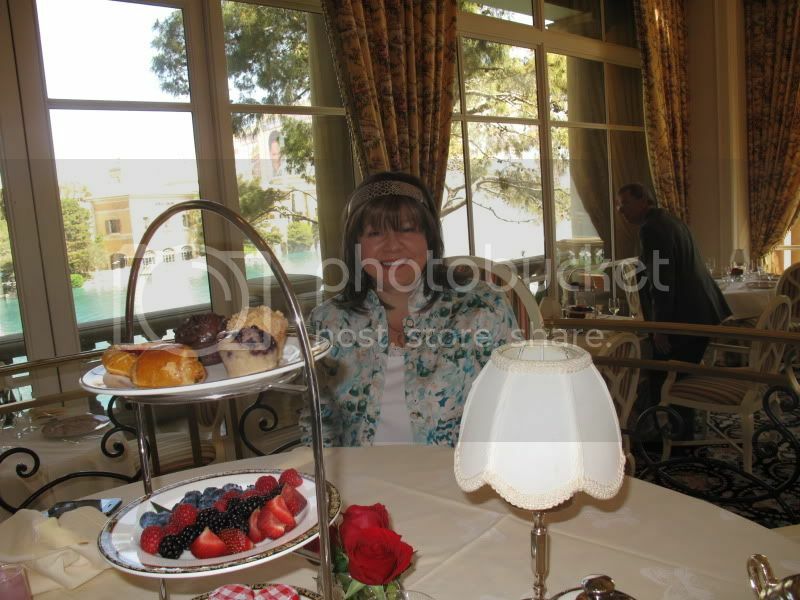 I was sitting next to Randy facing the front for the brunch but moved here briefly for the side view photo. Unlike some reviews I have read, they did not greet us with a glass of orange juice which was fine with me as I don't drink OJ. 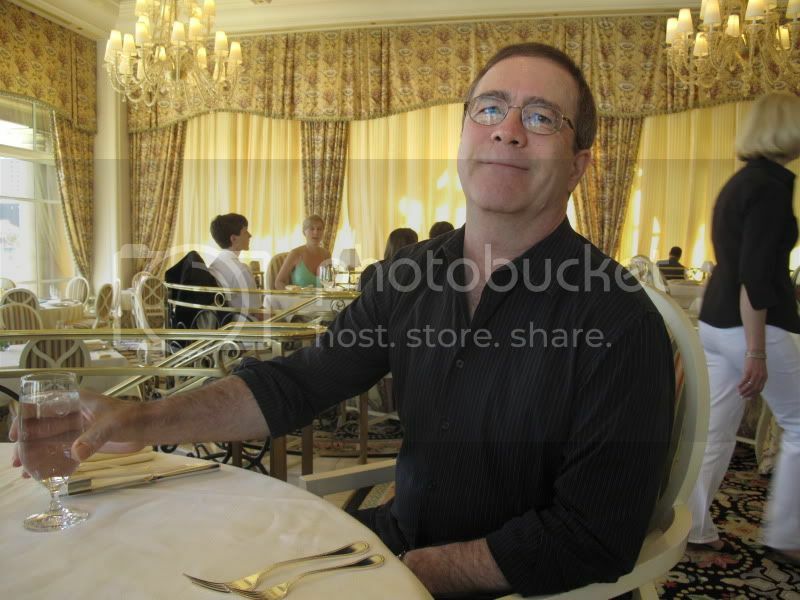 Service was fantastic along the lines of fine dining. Our server presented the champagne options and while you aren't pressured at all to order champagne we went with the least expensive which was $12 for all you could drink. They were not kidding about all you could drink as our server was constantly filling our glass and it never got more then half empty. Toward the end, we finally had to tell her no more, as we wanted to be able to walk out and not be carried out, and she smiled and said well, if you change your mind let me know. 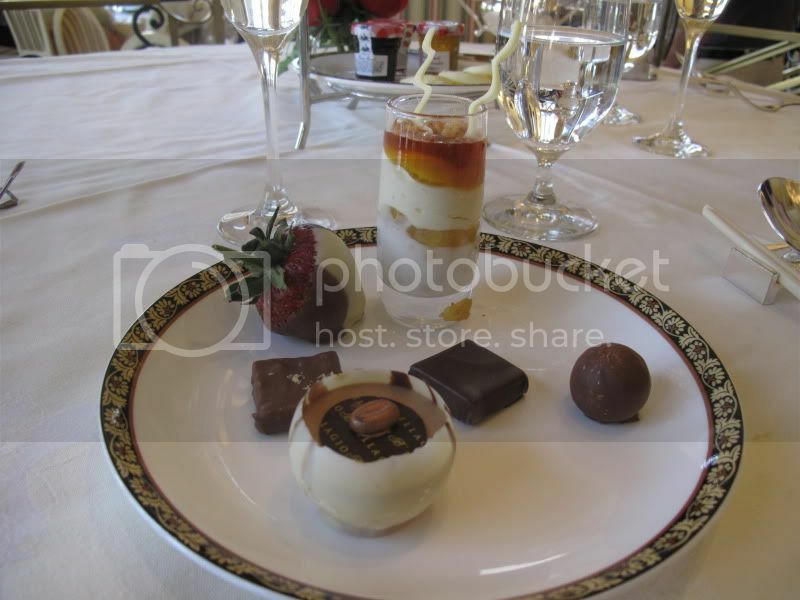 In our opinion the food presentation and quality is as wonderful as the service. 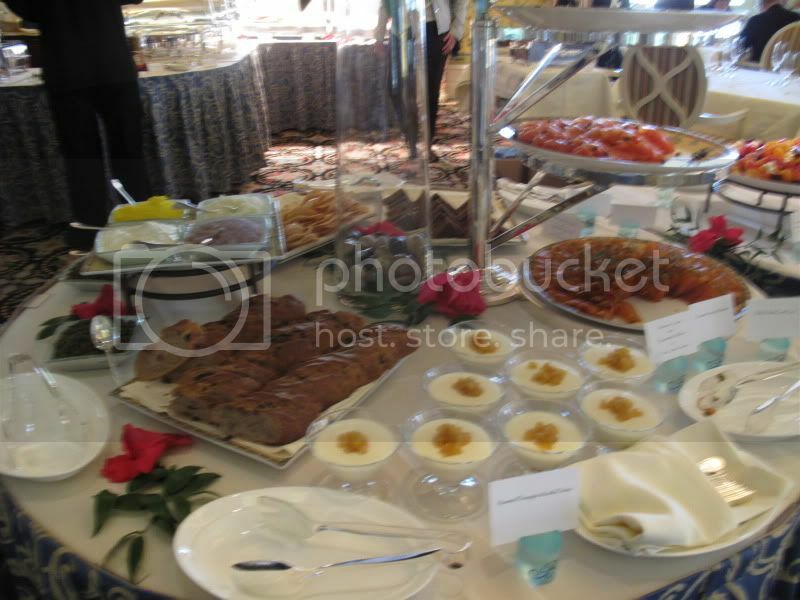 Of course quality of food is somewhat subjective to each individual but even if you are a meat and potato type eater there were plenty of breakfast and meat options to satisfy that taste. 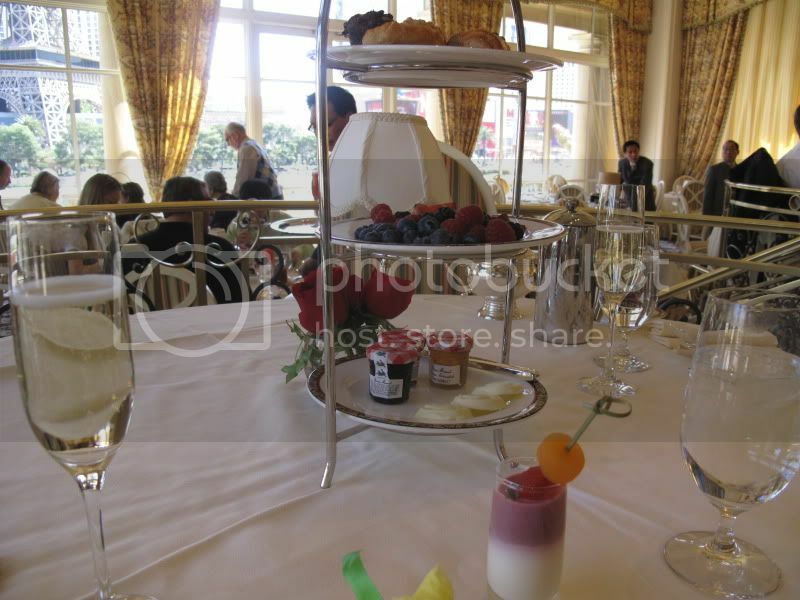 Remember to click on "read more" for the rest of the review and photos! 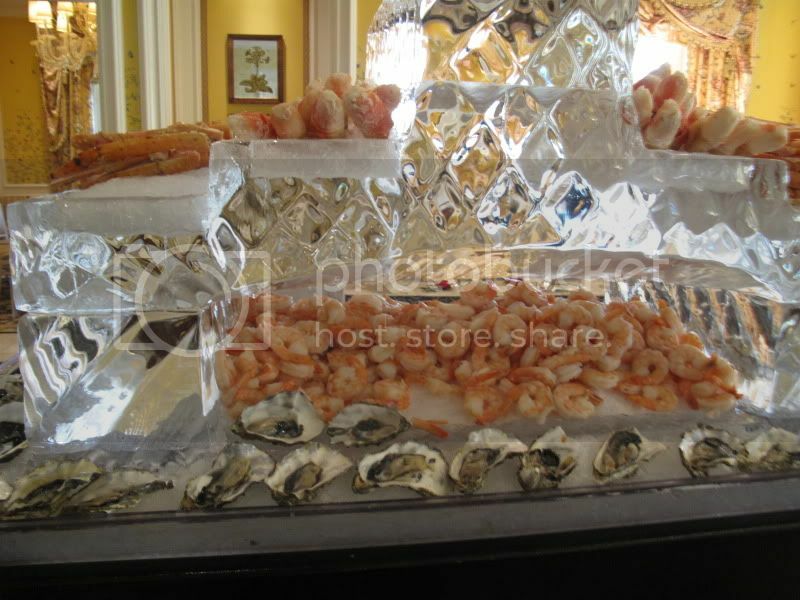 Above are the carved meats but there were plenty of other choices under the silver domes. 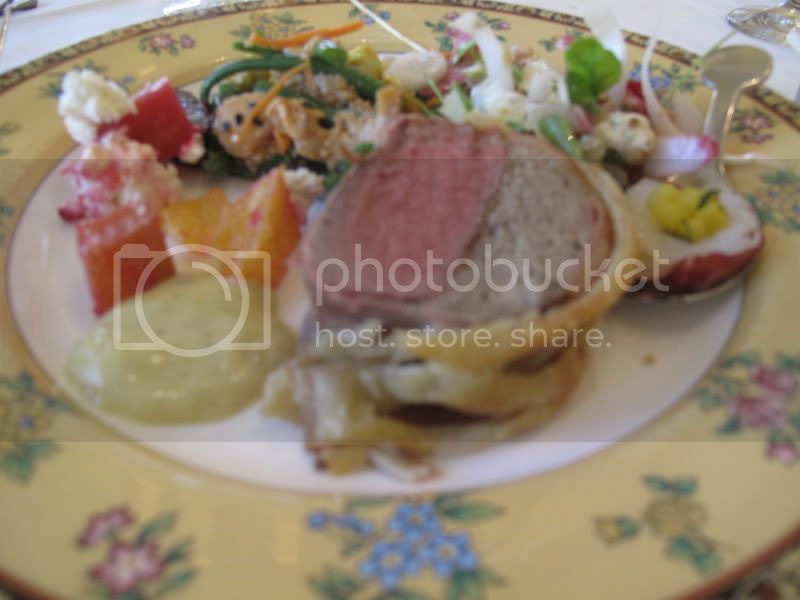 I did try the roasted prime tenderloin in puff pastry and black truffle, basically beef wellington and it was excellent. 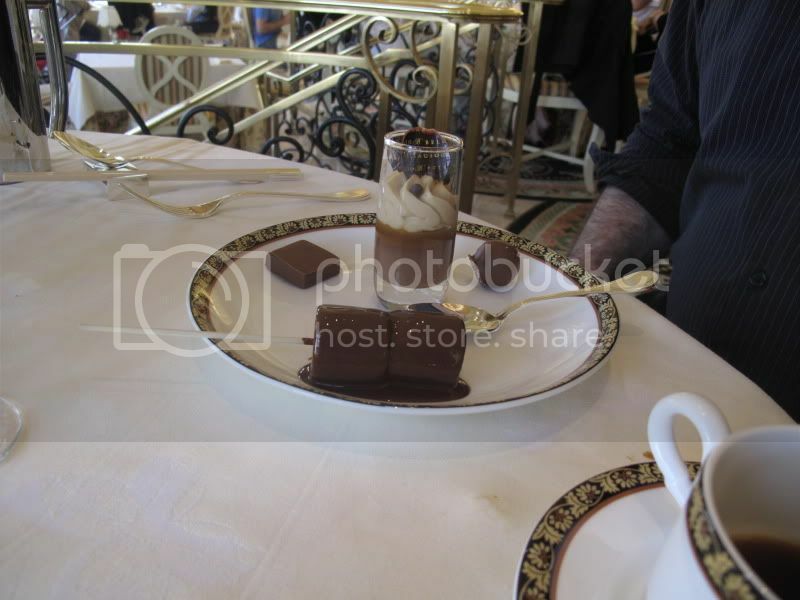 It was served medium, meaning it was pink but not red, which is to my personal taste. They offered Bearnaise sauce with it if you like that. There was a Asian noodle station where they made you soup to order. We didn't try this but it looked good. 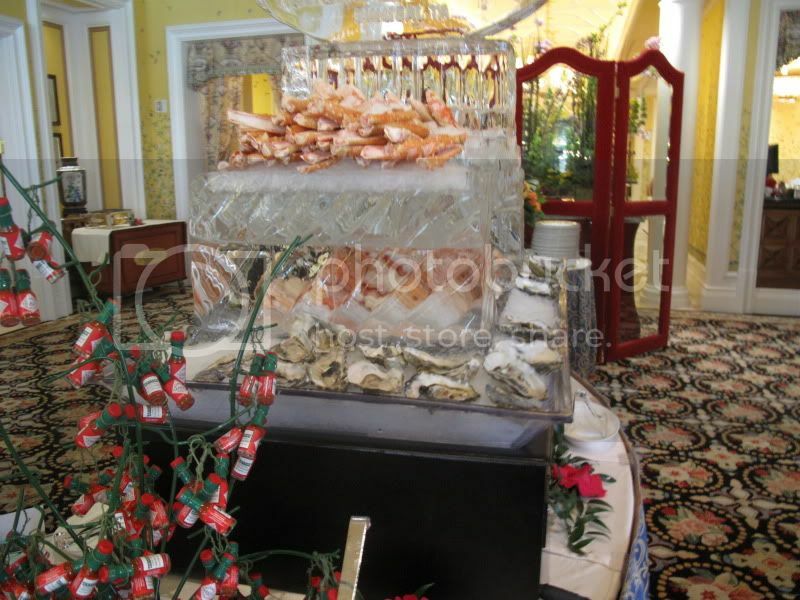 The shrimp, and crab was delicious and there were several sauces to select from. 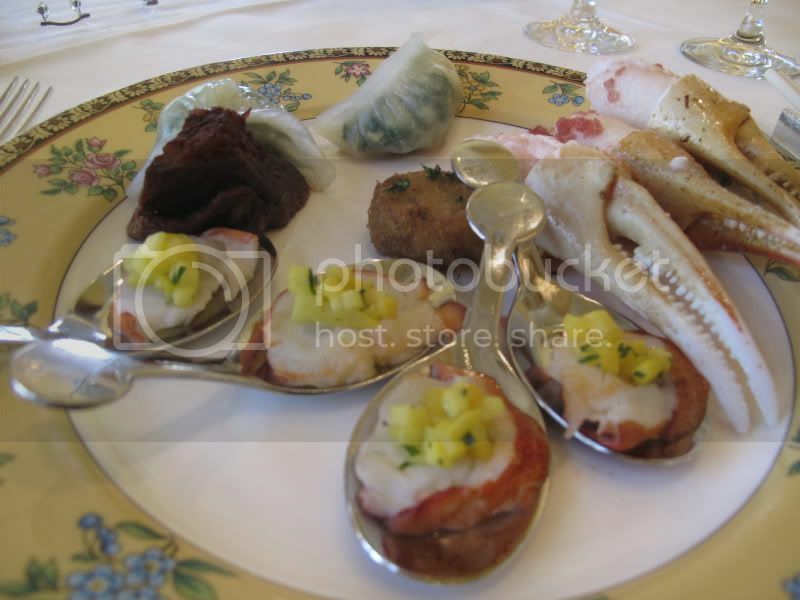 While the Lobster Medallions with Mango Pearls and Thai Basil were served on individual spoons and were small you can take as many as you want, and they are quick to refill all the food displays. 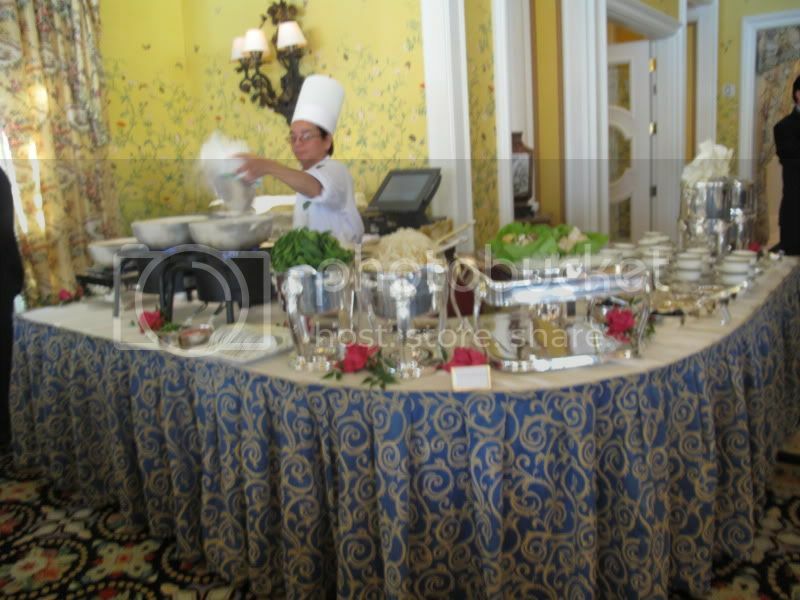 While we understand they will come table side to carve Canadian Back Bacon or Honey–Glazed Slab Bacon, we never saw them, however they did come around and carve table side the peking duck. 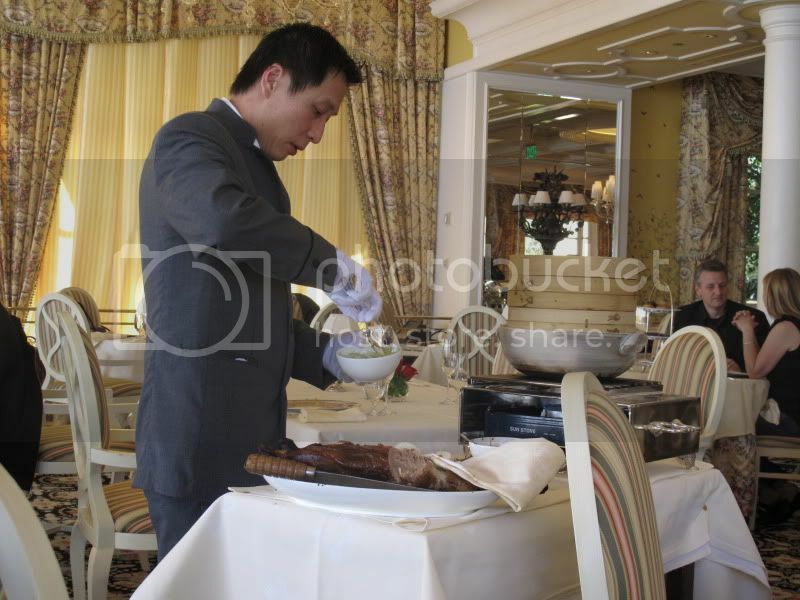 The Peking Duck serving was small, so if you are fond of that you will have to request more the first time they are carving it for you since for us the cart only came around once to our table. 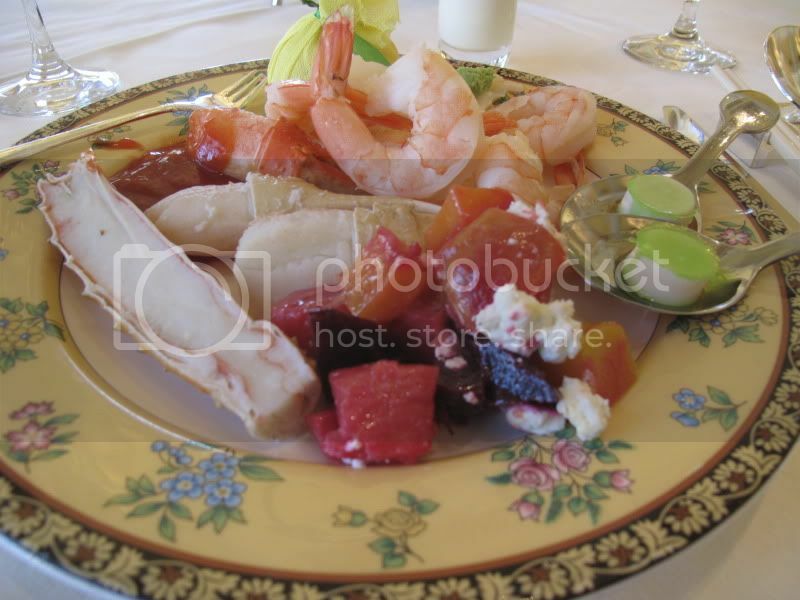 Some seafood selections, along with the Roasted Beetroot, Orange, Crumbled Goat Cheese, salad and Lemongrass Panna Cotta with Crystallized Wasabi. 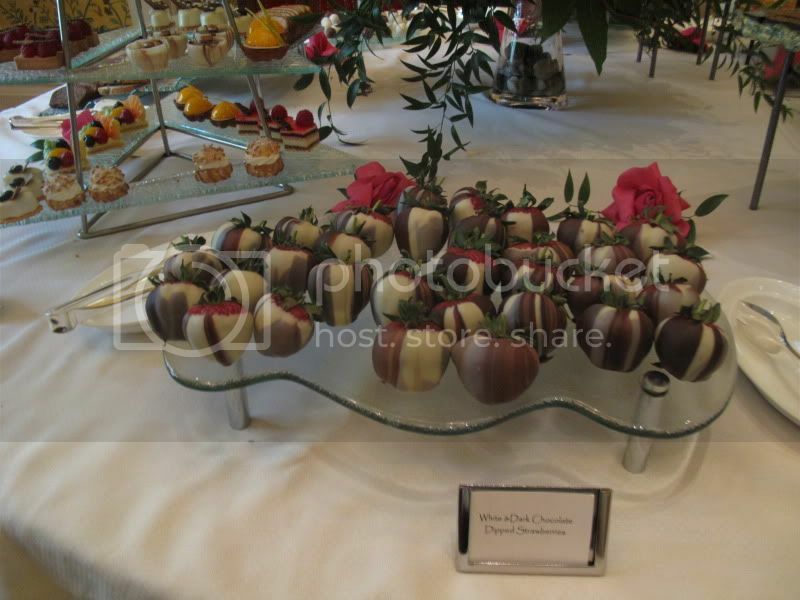 Every table is presented with fresh berries and pastries. 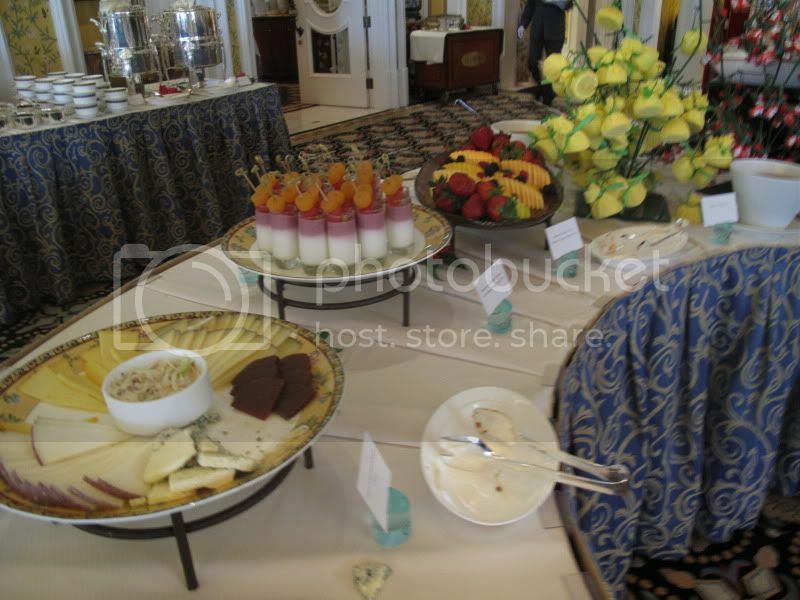 Here's a bunch of photos of the general buffet layout. 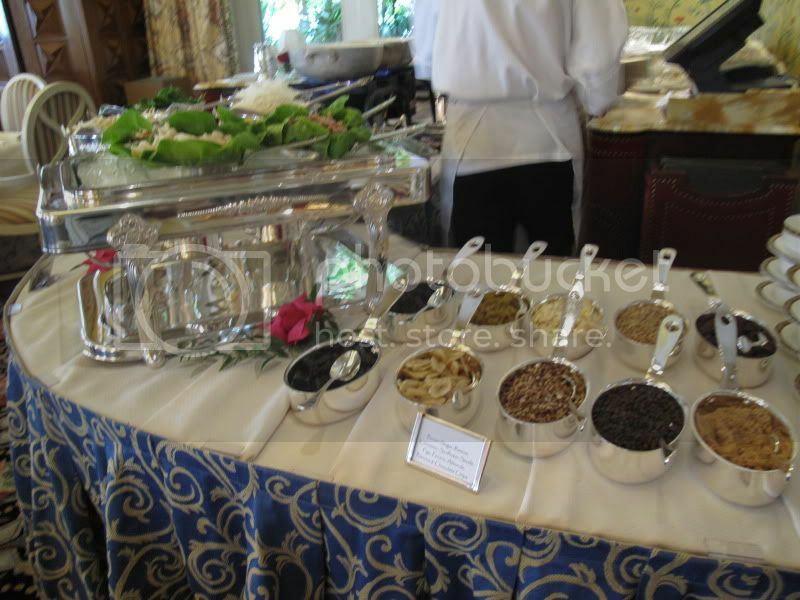 I neglected to get a photo from a distance that showed the complete lay out of the buffet and I regret that because it was really pretty, especially when you understand the dining room was never designed for buffet stations. 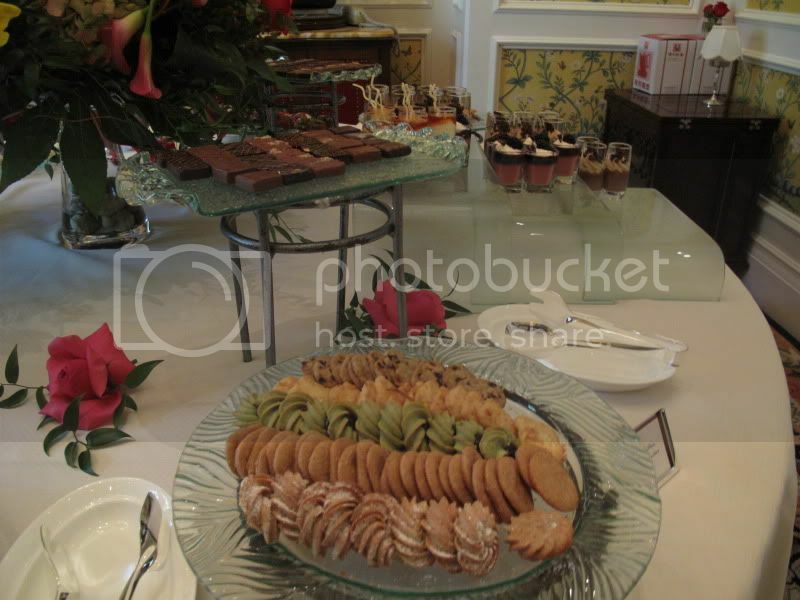 Last but not least, there is a separate room for desserts. 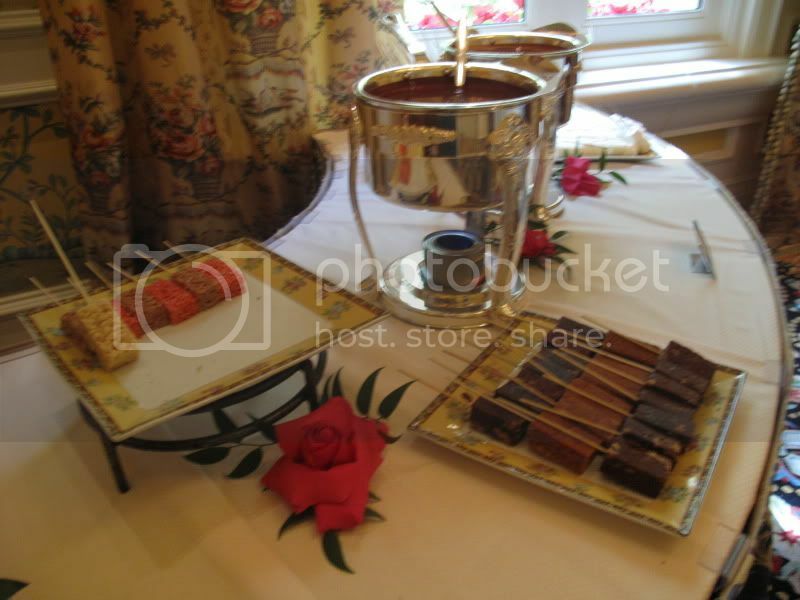 I didn't capture them very well but there is a separate station in there for the chocolate fondue and dippers. 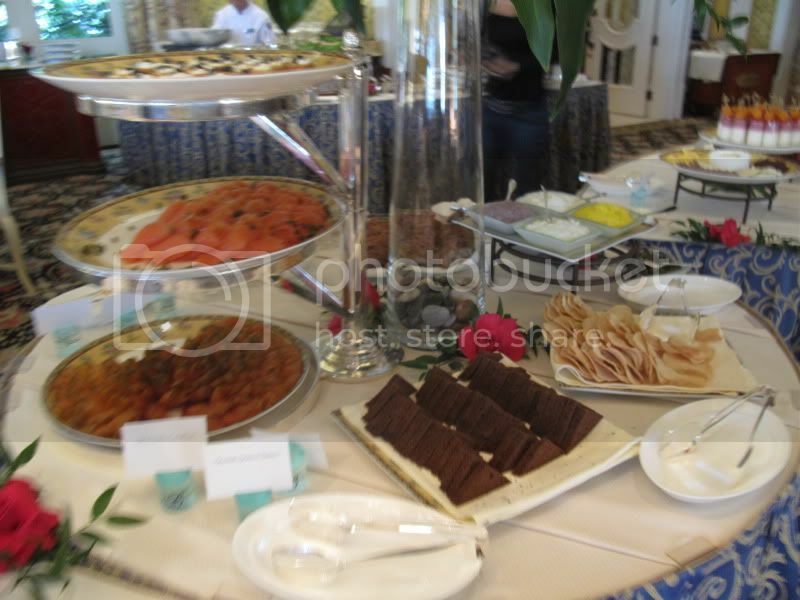 And then a good size table of homemade truffles and other candies, along with pastries, mousses and other desserts. We were there for at least 2 hours, they never rush you and from what I could see everyone was taking their time and enjoying the fountain shows, the service and food. 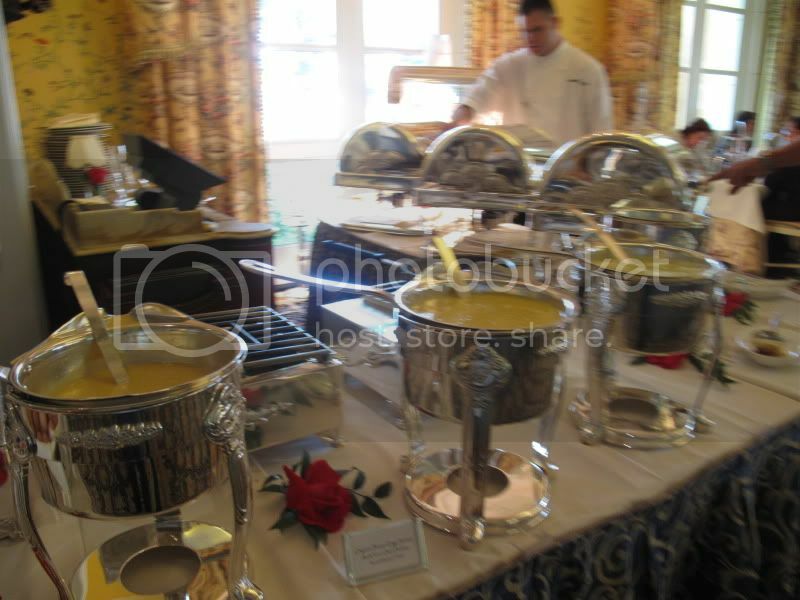 Yes, we did waddle out of there, but thorougly enjoyed our experience and thought the price of $55.00 for the buffet and then $12.00 each for our champagne, before tax and tip was well worth the price for us as this is a very unique brunch buffet. Thank you for posting such a detailed review. I very much enjoyed reading it! Thanks, I'm glad you enjoyed reading it. 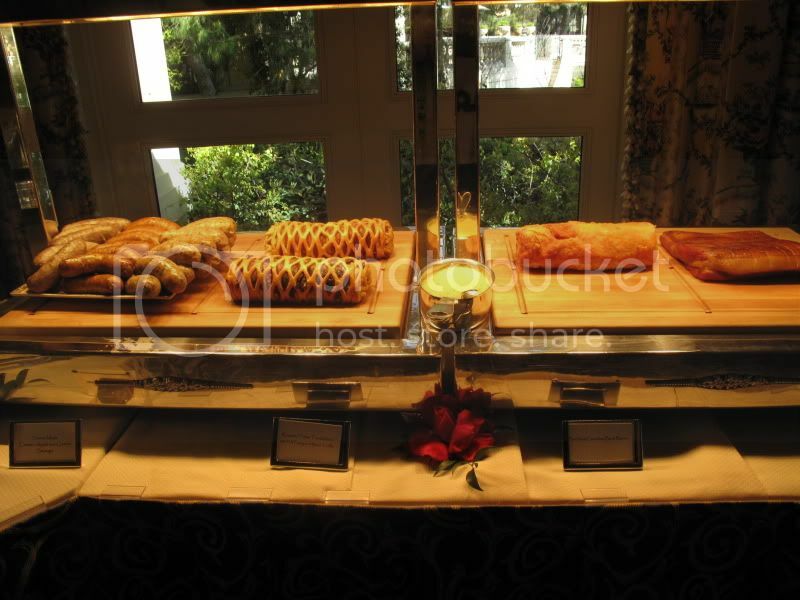 I found out recently that Jasmine Fountain Brunch raised their prices, however I still feel it's worth it for the quality of the brunch and its uniqueness.